A truly thankful spirit will show gratitude when it acknowledges who God is and what He has done for him/her. This gratitude is a heartfelt emotion and it is not dependent upon the response of another person nor the nature of the gift it received. Remember that a grateful person is humble and focused on God, while the ungrateful heart is full of pride and focused on self. Ruth was a beautiful example of such a spirit of gratitude and humility – Ruth 2:10 “Then she fell on her face, and bowed herself to the ground, and said unto him, Why have I found grace in thine eyes, that thou shouldest take knowledge of me, seeing I am a stranger?” Hers was a very gracious response even to a small kindness. Anticipate each day’s blessings from God, and take care that you do not miss out on the subtle, indirect gifts our all-wise and generous Father gives us each and every day – Colossians 4:2 – “Continue in prayer, and watch in the same with thanksgiving;” At the same time, it is important to remember that not every desire we have is beneficial to us. God, the all-wise, all-knowing Giver knows and sincerely wants only what is best for us. Earnestly think about His plan and priorities for your life, while taking care not to lose sight of the bigger picture because of a tragic but small interruption. Not only ought we to show our gratitude to God and others regularly, but publicly as well – Psalm 35:18 – “I will give thee thanks in the great congregation: I will praise thee among much people.” John 11:41, 42 – “Then they took away the stone from the place where the dead was laid. And Jesus lifted up his eyes, and said, Father, I thank thee that thou hast heard me. 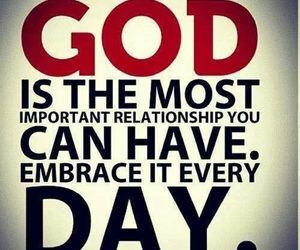 And I knew that thou hearest me always: but because of the people which stand by I said it, that they may believe that thou hast sent me.” We should never take our family and friends for granted. Make a record of your blessings and take note also of God’s great faithfulness to you each day. 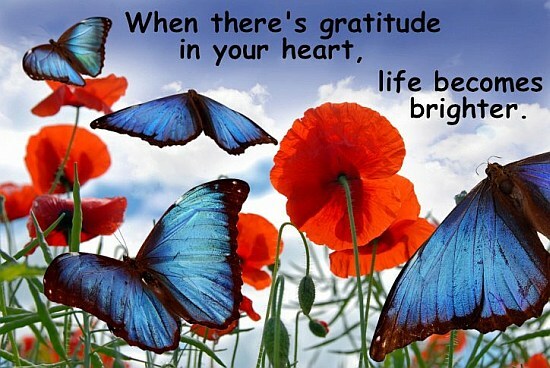 It is an essential part of a life lived Holy to God to cultivate a grateful spirit and a thankful heart in all things. Of course, it does not come easily, nor does it happen over night. It is an on-going work in each Christ-like person’s life until we go be with Jesus. The woman who is thankful and has a heart full of praise brings joy to her Heavenly Father and glory to His name. An attitude of gratitude will bring to our hearts a host of blessings, while at the same time, make us a means of blessing to others.